Willem II is the bigger brother of Willem I. 40x40cm. Frame, pieces of an old door, fence, dead tree, measuring tape and stairway. 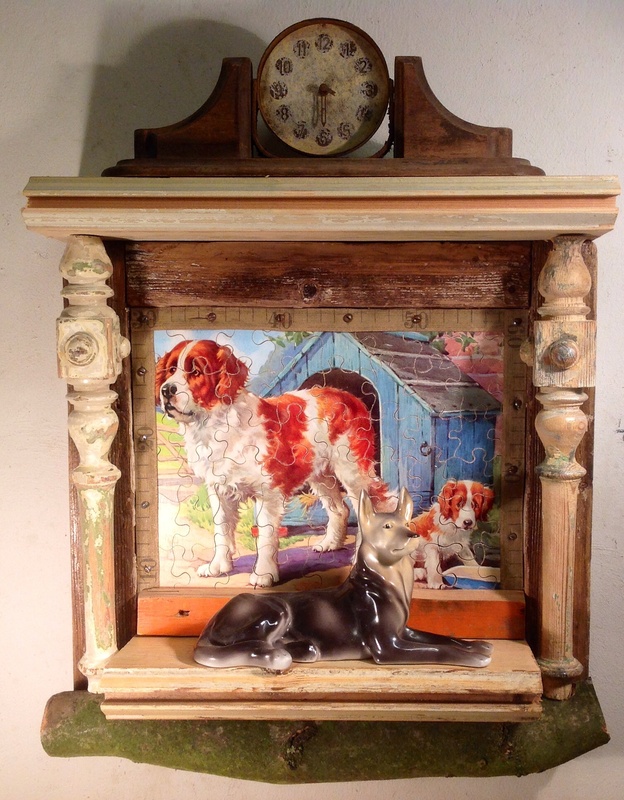 Jigsaw puzzle of wood and “clock” and little sculpture of a dog bought in Budapest.